Are You Experiencing Leaks, Algae & Water Clarity Issues Or Just In Need Of A Good Cleaning & MAINTENANCE? Talk To A Koi Pond Expert At Acorn Now! 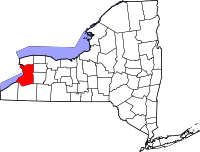 Acorn Has Pond SERVICE & Repair AVAILABILITIES IN WEBSTER, FAIRPORT, PENFIELD, GREECE & WESTERN (NY) TOWNS Near You! 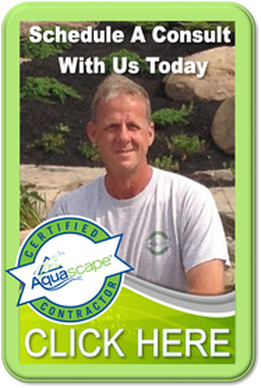 Hiring the right Rochester, Buffalo or Western (NY) area water feature maintenance contractor might seem like a chore but Acorn Ponds & Waterfalls have been designing, building & maintaining one of a kind ecosystem fish ponds for close to 2 decades for New York homeowners who were tired of dealing with algae problems, waterfall issues, stubborn pond/waterfall leaks, smelly/green water, or simply just had questions on how to take care of their koi pond maintenance and repairs. Our process for new clients is easy. Simply fill out our contact form and send us pictures of your water feature or pond and we'll get back to you within 24 hours. Draining and cleaning your pond, pondless waterfall or water feature once or twice a year is highly recommended for the overall health and beauty of the water garden. We will analyze and diagnose your water feature for any issues it may have and offer a written price quote on how to resolve them. 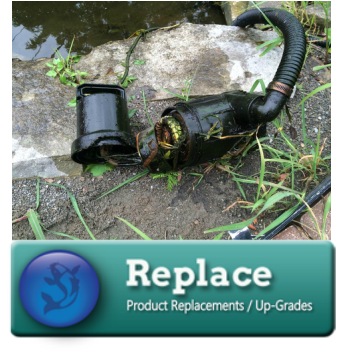 Waterfalls, ponds and streams will occasionally require repairs as the water feature ages do to equipment breaking down, liner tears, shifting rocks or improper design/installation of the water feature. Sometimes damage or neglect can play a role as well which means more repairs are needed. The experience and unique training of our team allows us to diagnose and fix your problem quickly and accurately. Do you happen to have a Western New York (NY) home with a pond that isn’t quite as large as the pond you envisioned when you first had it installed? Do you perhaps have a pond that either isn’t operational or isn’t up to your standards, because the promises of your contractor didn’t quite come to pass? If so, our pond enlargement and pond renovation/expansion services may be just what you need in order to get the most out of your water feature. 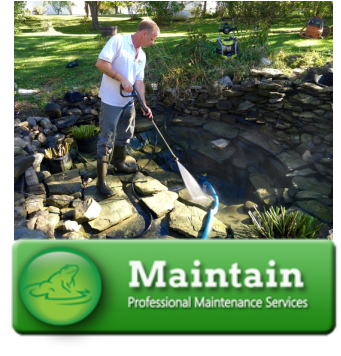 Schedule a pond maintenance Check-up NOW! 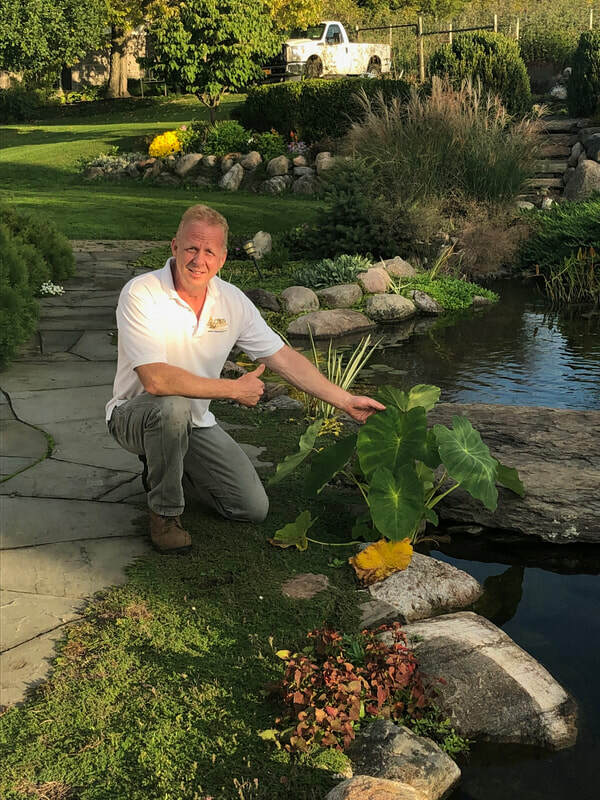 Looking for koi pond - water feature service, maintenance, or repair in Rochester, Buffalo or Western (NY)? 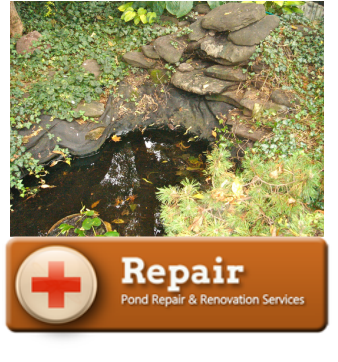 Call the Rochester New York (NY) Pond Maintenance and Repair Experts Acorn Ponds & Waterfalls 585-442-6373 Today!